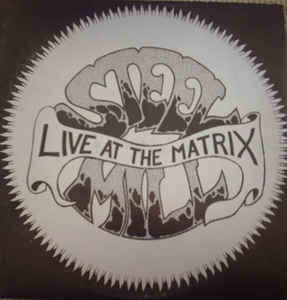 Bruce Springsteen's band "Steel Mill" performs the Beatles version of the Goffin / King song "Chains". Not much more information. It is suggested to have been recorded in 1970. "Chains" is a song composed by the husband-and-wife songwriting team Gerry Goffin and Carole King and originally recorded (but not released) by the Everly Brothers. In 1962 it was a hit for Little Eva’s backing singers, The Cookies , and later covered by The Beatles. 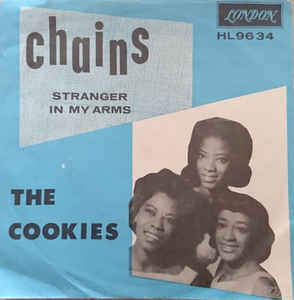 The single by the Cookies was a popular cover song for Liverpool bands after its release in November 1962, and was included briefly in the Beatles' live sets. Lennon played the introduction on harmonica. George Harrison sings the lead vocal on the Beatles' version; and, as the fourth track from the group's first album, it represents the first time many fans heard Harrison singing lead on a commercially released song. Whoa, it's chains of love got a hold on me. Yeah! Can't run around 'cause I'm not free. Whoa, these chains of love won't let me be. Yeah! Now believe me when I tell you I think you're fine. Whoa, it's chains of love got a hold on me, Yeah!